Discover how France’s Sébastien Ogier won his sixth WRC title in a row. 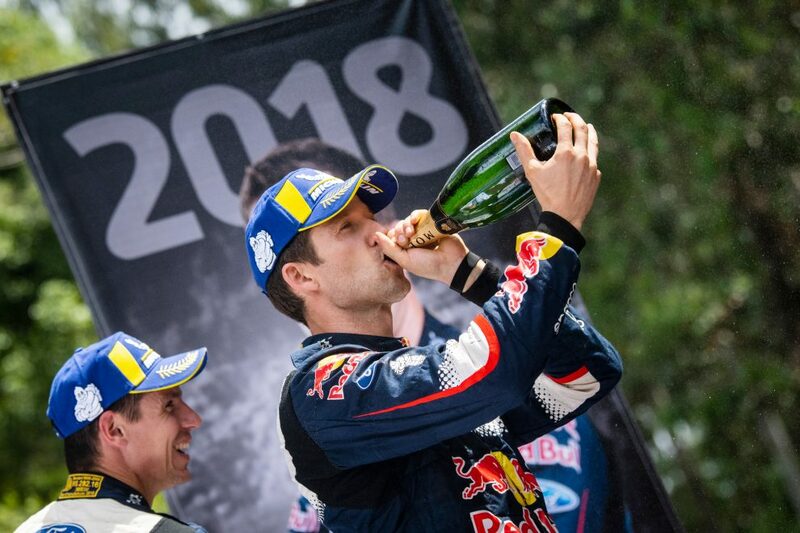 Frenchman Sébastien Ogier took advantage of Rally Australia crashes to his FIA World Rally Championship rivals Thierry Neuville and Ott Tänak to secure his sixth straight WRC title on Sunday. His fifth place behind race winner Jari-Matti Latvala meant that he ended the 2018 season with an 18-point lead over Belgian Neuville, but it was not all plain sailing for the 34-year-old throughout a fascinating campaign. Rally Sweden was one of the most frustrating rallies of Ogier’s career. Heavy snowfall on the opening day made it impossible for the Frenchman to have any impression on the sharp end of the leaderboard – he was almost three minutes back after day one. His only chance of points came on the bonus points-paying Power Stage. Some quick thinking and cool calculations from M-Sport Ford World Rally Team allowed the British team to find Ogier a preferable place in the running order and he made the most of it with second fastest time and more valuable points. It wasn’t just the Fiesta’s suspension that was worked on mid-season, the #1 M-Sport car arrived in Finland with revised aero. The full benefit of these wing-tweaks weren’t truly seen until the tarmac stages in Germany. Unfortunately for Ogier, his hopes of another win among the vineyards was spoiled by a Panzerplatte puncture. A hugely exciting season was never more exciting than going into the final stage of Rally Italia. Ogier was 0.8 seconds ahead of chief title rival Neuville. The M-Sport star lost that particular battle, finishing second to the Belgian by seven-tenths of a second, but the mental strength he showed in not dwelling on that disappointment over the summer break was undoubtedly a positive in his ability to reel Neuville in through the season’s second half.